Hobart is named after Episcopal Bishop John Henry Hobart of New York . And was originally called the Town of Hobart. It was incorporated into the Village of Hobart in 2002. The area of Hobart is roughly 33 square miles. There are two parks located in Hobart. There is the Four Seasons Park, and the Hobart Hall Park. Both parks are equipped with a kid’s playground, baseball field, and soccer field. You may also rent out the indoor or outdoor shelter part for large parties or get togethers. While dogs are not permitted in these areas, the Four Seasons Park does have a 1-mile walking trail that your four-legged furry friends may join you on. While Hobart may not be the largest and most populated village in Brown County, it certainly doesn’t lack in the restaurant department. Check it out here. There are all types of home styles in Hobart. Ranch styles, bi-levels, tri-levels… they are all there. Also, there are quite a few custom built homes. 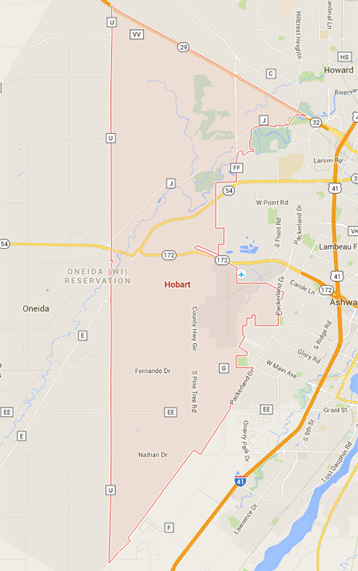 If you’re looking for some acres to go with your home, Hobart would be a location you might want to consider. 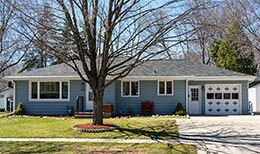 The past year 158 homes were sold and new people moved in. The average number of days on the market was 122. The average percent of homes listed that sold was 98%. Hobart lies to the west of Green Bay, Ashwaubenon, and De Pere. De Pere also borders the southern edge of Hobart. The Village of Howard borders the northern edge and the Oneida nation and town of Seymour are to the west. New houses come on the market in Hobart regularly so if can’t find that perfect house today, let Elysia know what you’re looking for and she can monitor the market and alert you when something meeting your criteria is listed. Click here to browse current Hobart Homes for Sale.